Ok, I’m finishing up with the review of the bits that I was sent last month. Click here to read my other posts on the brand. I’m battling a bit of a backlog at the minute thanks to the frustrations of losing the site over Christmas. Bear with me! 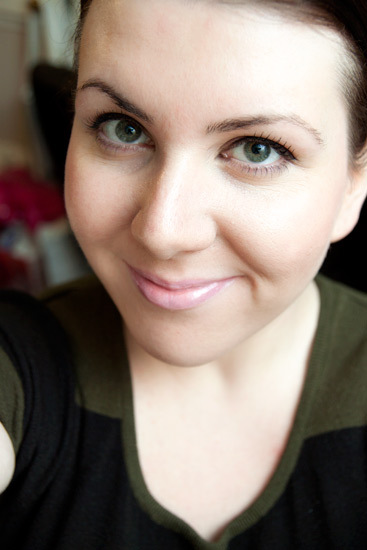 Milky Lips in 602 (£4.44) is a pale cool-toned pink gloss that does what it says on the tin! It’s a bit “Barbie” for me but I can imagine it being a hit among a younger crowd. It’s tacky and long-lasting but prone to sinking into the furrows in your lips as these milky type glosses and pale lipsticks tend to do. 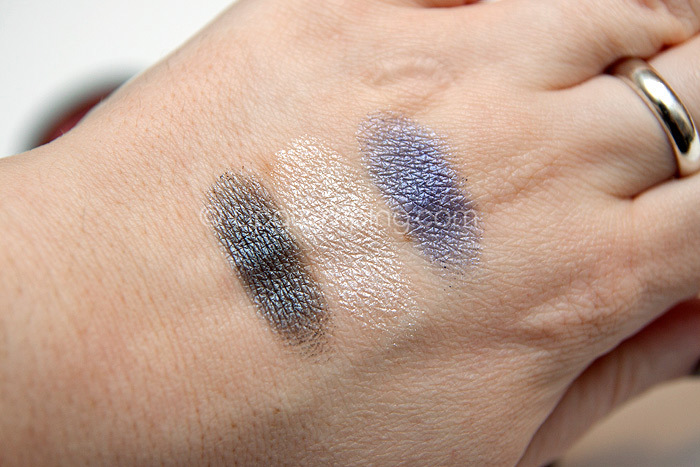 The Eyeshadow Trio Dancing Queen in 803 (£4.24) whilst nicely pigmented is frosty as hell. It’s just too much for me though I was impressed at the texture which was a lot softer than I would have expected considering the amount of glitter these shades hold. Fall-out is an issue when using these so be prepared to deal with it! The darkest charcoal/blue shade in the trio is particularly nice but like I said, it’s all a bit too sparkly for me I’m afraid. I was VERY pleased with the Paese Pen Liner (£6.08) which I’ve been using daily ever since I received it. So far (in over a month), it hasn’t dried out at all. It could do with a little more pigment… as it stands, you do need to go over any lines you draw twice to get a solid, opaque finish. So why am I holding it in such high esteem? I love pen liners, I find them the quickest, easiest way to accomplish a simple black line along my upper lashline. You can’t beat gel for pigmentation but I’m pretty cack-handed and keep falling back on these felt-tip type pens when I don’t have all day to get a perfect line. The tip on this is a cracker. Not even remotely scratchy and with a fine point that allows for a nice thin ‘flick’. There’s a bit of bounce in the tip and it never skips as I draw along my lashline. 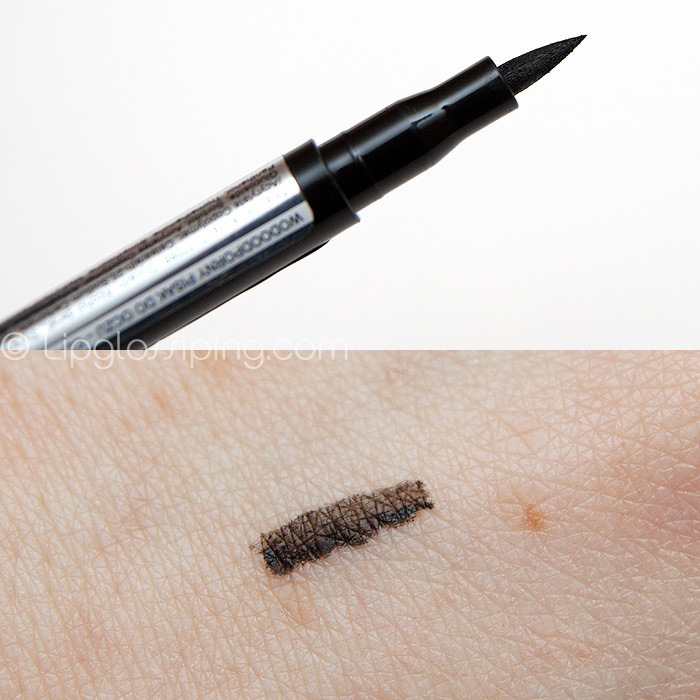 It’s solid and dependable… something I want in my eyeliner. Paese Blusher in 25 (£3.32) didn’t do anything to impress I’m afraid. It’s a nice enough peachy/rose shade with a lovely, soft texture but it’s dusty as hell. A real shame because it also happens to contain one of the nicest and most delicate shimmers I’ve ever seen in what is essentially a drugstore blush. 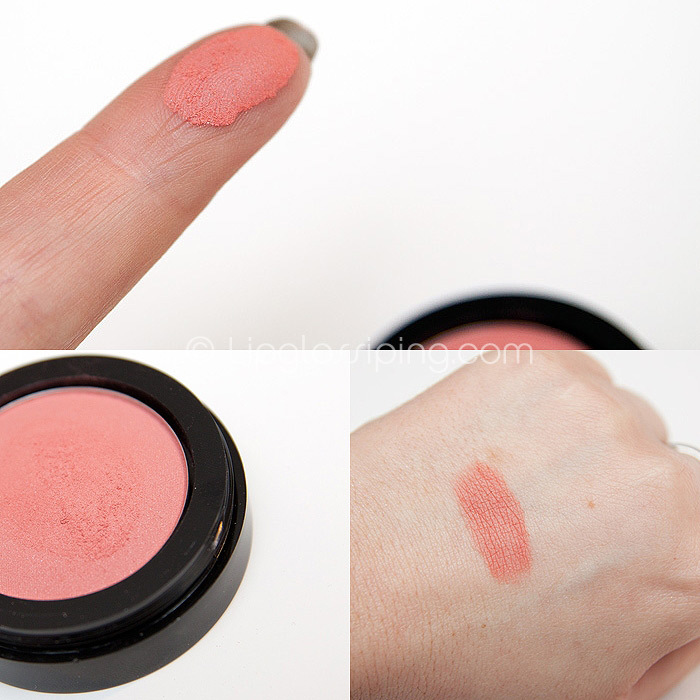 It’s very pigmented and a little goes a long way but if you take more than a couple of swipes during blending you’ll notice that you start to blend the blush into oblivion and will be left wondering where the hell it went. One of those blush on, blush off blushers! I have some concerns about the website which has those horrible block swatches that don’t give a great indication of the shades available. There seems to be some mis-labelling amongst the categories and it all seems a bit like a work-in-progress rather than a finished consumer-ready website though I can’t emphasise enough how refreshing it is to see such reasonable shipping charges within the UK! It’s a brand worth exploring with some little gems hidden among the standard less-impressive drugstore-esque fare. In particular, I’d recommend the eyeliner and primer as well as the nail polish. These are the products that I would personally re-purchase. 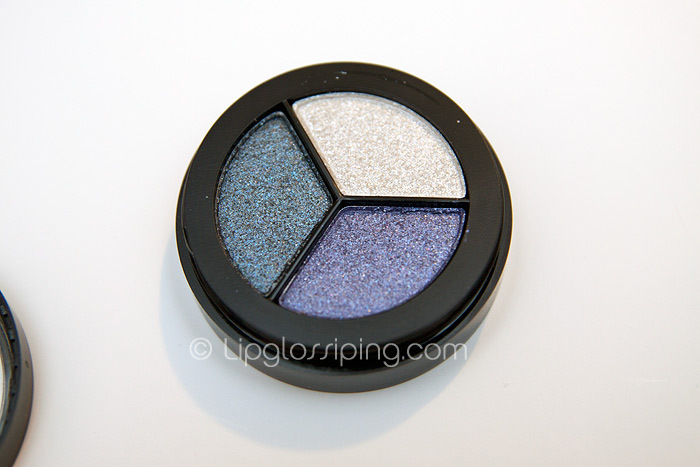 Are you planning to give Paese Cosmetics a try? That miliky lips reminds me of a gloss I adored years and years ago, might have to purchase! On a side note- I have a total mind-block as to what the brand was called- it was a superdrug only brand, futuristic shapes and super neon colours… this is going to bug me all day! I love milky pink lipglosses/lipsticks! My lips are naturally a cherry red color, so I like to tone them down to get the “natural pink lip” look. Pigmented lips are a pain! I’m loving the look of that eyeliner pen! Milky lips is a definite no-no for me (and I’m young! haha) as I just hate pale glosses and lipsticks. The blusher looks lovely, shame it’s powdery. Great review of this brand! How do the products compare with Inglot? I was in Poland over the weekend and never saw any cosmetics by this brand but they did have a massive Inglot store (which really is no more expensive than drugstore prices) although the nail varnish from there (except the flakies) seem rather hit or miss. To my eyes that milky lip gloss looks like a very good dupe for MAC’s Viva Glam Lady Gaga lipgloss…if it wasn’t for charity, I’d be very annoyed that I’d purchased it just the other day!!! Beautiful pictures as always.